Forklift & Material Handling - UK's BEST value Electric Low Level Order Picker - 540mm(Euro) - 2500kg - GB Forklifts from GB Forklifts Ltd.
Hangcha A Series Low-level Order Picker 540mm Euro pallet width forks with 2500kg lift capacity is widely used in long-distance transportation among production lines. Low operator platform for frequent and effortless entry and exit. 5-pivot with low centre of gravity design ensure safe and reliable operation. All plug connectors are waterproof and all cables have reliable protection which increases reliability of electrical system significantly. Non-contact proximity switch features long service life and reliable operation. Hydraulic power unit applied to provide low noise, low vibration, smooth lifting and landing reliable operation. 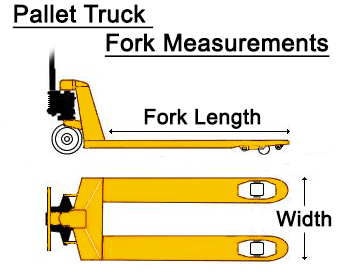 Punch-formed forks provide more strength performance. Power plug is fixed on the chassis to avoid damage during battery installation. EPS(Electric Power Steering) is standard specification and provides flexible operation. The inching switches installed at the LH/RH side greatly imporve ease of use and operation. The AC driving motor features excellent acceleration performance, outstanding climbing ability, low heat emission and is brushless design and is maintenance free. The latest AC CURTIS control system is precise and smooth. CAN-BUS connection enables all truck data to be read for inspection and improves data transfer. The vibration-reduction design of the pedal reduces fatigue of long-duration operation. The operating tiller ensures operations can be done easily with comfortable 1 handed operation. Optimised design offers good visibility and easy exit/entrance of the truck. The small body with large arc design is more suitable for the truck in centralised shelves. The chassis adopts wedge design greatly increasing passing ability. The brushless, maintenance-free AC driving motor significantly reduces operation costs. The meter integrating battery indicator, hour meter and self-diagnostic instrument is convenient for maintenance. Electronic speed control means the turning speed is automatically reduced when steering. 3 braking system of regenerative braking ensures safe operation. Anti-sliding function on slope ensures safety.